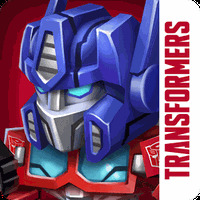 TRANSFORMERS: Battle Tactics Android - Free Download TRANSFORMERS: Battle Tactics App - DeNA Corp.
"Destroy the enemy with your favorite Transformers! " Game Goal: You have to create your own team to face Transformers and Decepticons in turn-based battles with players from around the world, having to choose the best strategy to beat your opponent. How to play: You can combine attacks with your Transformers turned into robots or vehicles and unite to create combiners; as you get more experience, you get more Transformers and improve the ones you have. 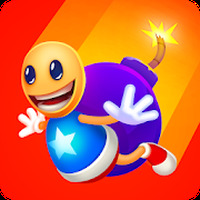 Graphics: Very simple graphics, but good quality with smooth animations, high resolution and detailed backgrounds and characters. Sound: The audio is good quality, with a lof of pleasant sound effects and music. Languages: Multi-language interface in: English, Spanish, French, Portuguese, Italian, German and many others. Developer: DeNA Corp.	- Developer trusted by Android Market. Installation requirements: A minimum of 52.51 MB of free memory space and Android 2.3.3 or higher. Play online against people around the world. Small footprint in device memory. Ideal for fans of the Transformers as well as strategy games. Attractive interface, very easy to handle. You must be connected to the Internet in order to play. 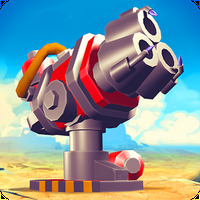 Do you like TRANSFORMERS: Battle Tactics?